Home The Froggblog We’re off to Berlin for the European Search Awards! 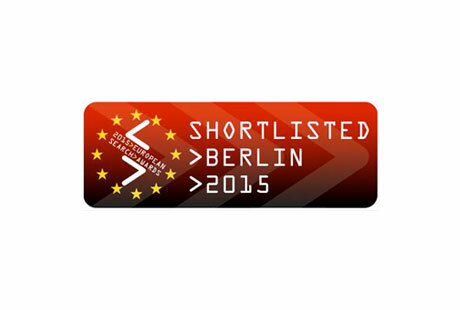 We’re off to Berlin for the European Search Awards! We had some great news last week as we found out our brilliant Paid Search Analyst, Joe Appleton, had been shortlisted for the European Search Awards in the Young Search Professional of the Year category. Now in their fourth year, the European Search Awards celebrate the very best in SEO, PPC, Digital and Content Marketing within Europe. Last year, we won ‘Best Use of PR in a Search Campaign’ for our work with Wedding Rings Direct, and we are honoured to be recognised once again in these prestigious awards. Joe has been with the company for over three years and in this time, he has grown from an intern into an expert in the field of paid search. He manages a wide range of paid search accounts across social, search and display for with a number of our clients including Cult Beauty, Lulu Guinness and MPB Photographic and works tirelessly to produce to best possible results for our clients. The award ceremony takes place on 22nd April in Berlin and our Managing Director, Rosie, and Joe will both be heading out there for the event. Good luck to all the brands and agencies shortlisted. See you in Berlin!